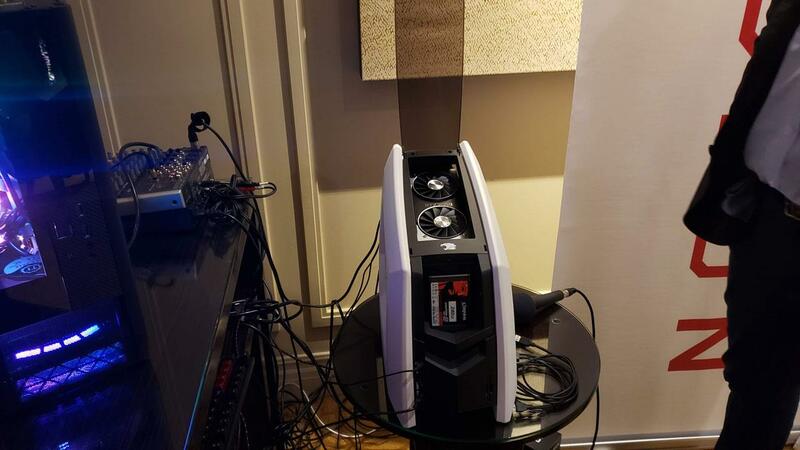 I didn’t get to visit many system builders at CES, but one that I was really excited to see was iBUYPOWER. If you don’t know, they’re pretty famous for their Snowblind systems. 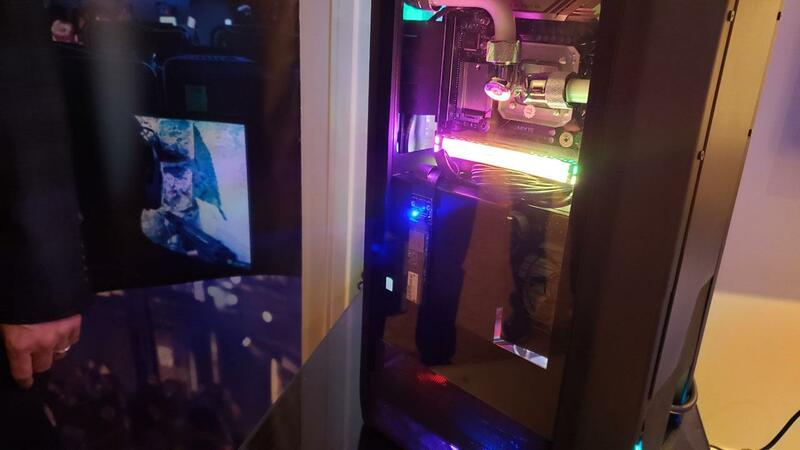 These systems feature see through LCD panels on the sides allowing you to put up pictures or animated backgrounds to customize the look of your PC. 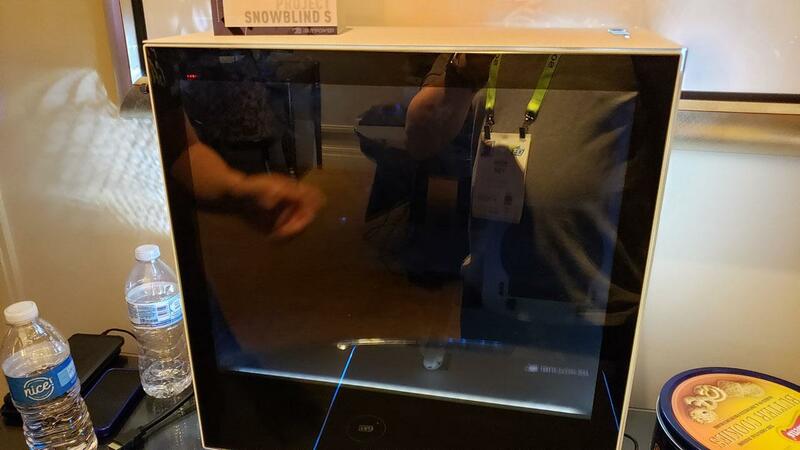 At their suite, they showcased what’s coming and some prototypes as well as a pretty awesome proof of concept computer. Let’s start with the proof of concept. 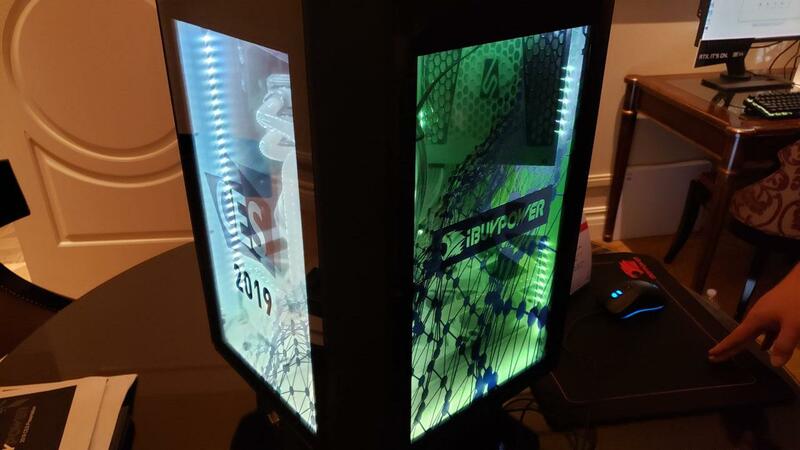 We’re talking about a vertical PC setup with Snowblind panels on all sides and yes, it rotates on a base. 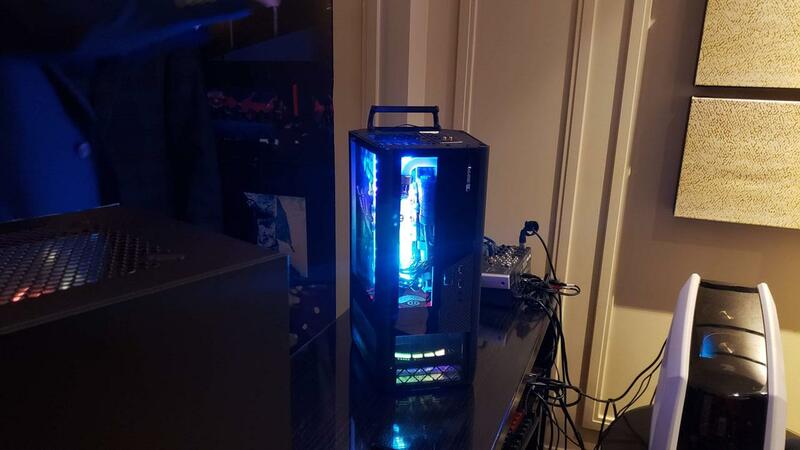 It was really damn impressive to see in person, a working PC that rotates. All the connections are in the stationary base with the components in the rotating case. Some pretty impressive engineering was done to allow for the computer to not only rotate, but have all the connections work. 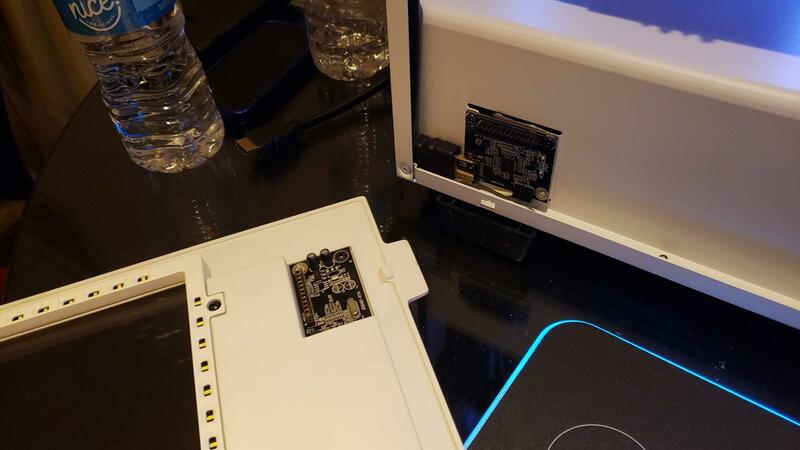 Now, there’s some limitations in this build, such as USB 2.0 limitation in connection. The design of the rotating ring currently enforces some limits since the more you connections you need, the thicker and higher the ring has to be. 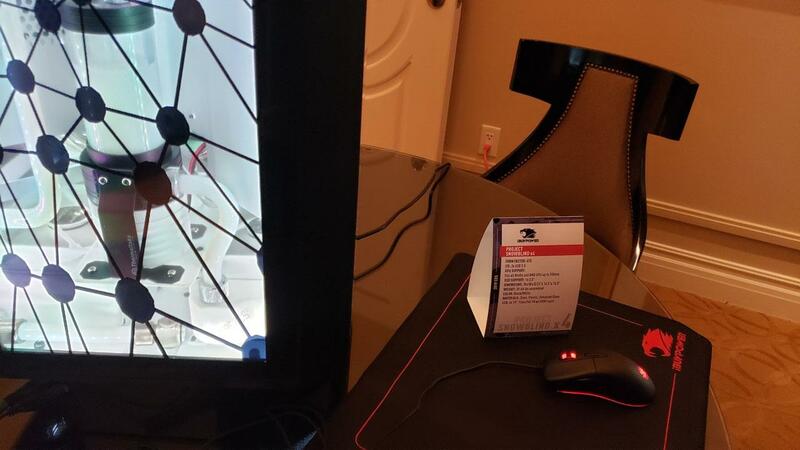 I’m sure iBUYPOWER can work some more of their engineering magic in this setup and we’ll have to see if they ever decide to make this computer and/or case something that the public can purchase because right now, there’s only one of these in existence and it cost about $8000 when all was said and done. 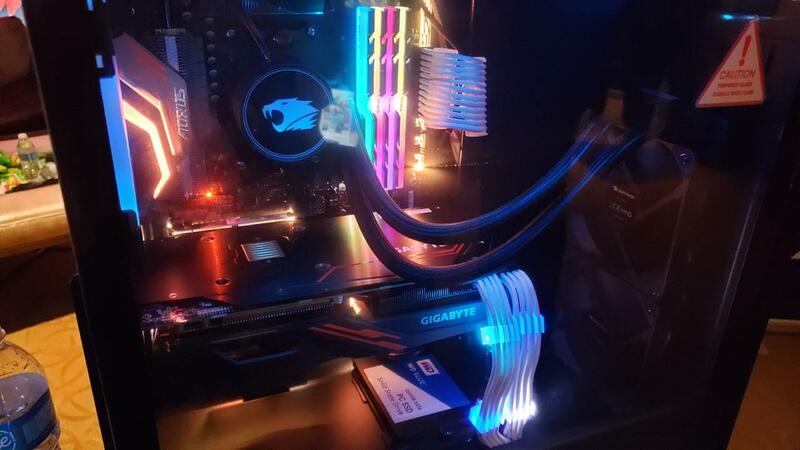 Speaking of Snowblind, I was shown the latest incarnation of their side panel, which now consists of a lot smaller connection setup. 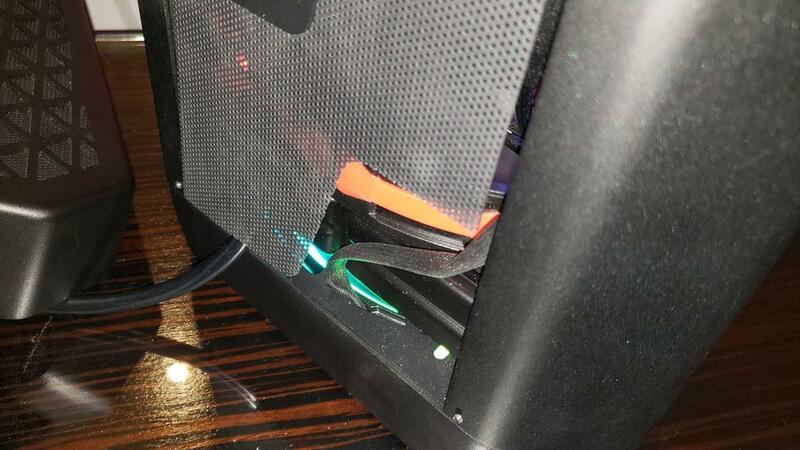 iBUYPOWER has made the case two pieces rather than four separate panels in a lot of other cases, allowing for a more truer square when connected. 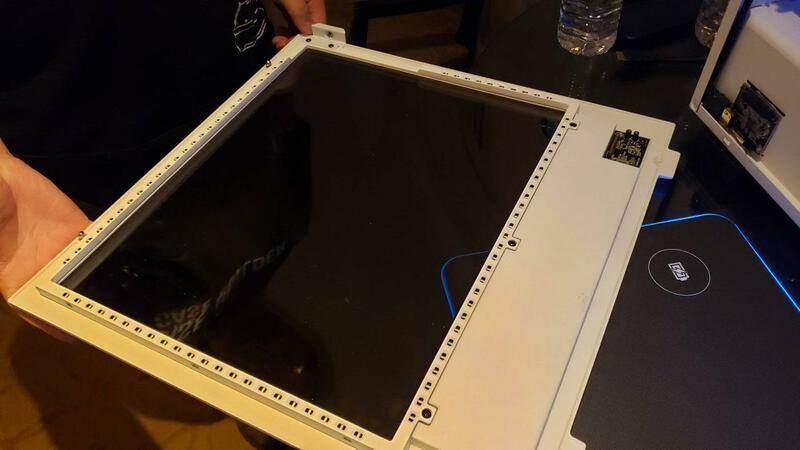 This is needed because the connection setup for Snowblind is now a set of pins and when you slide the panel in place, it needs to line up exactly to get it to work. I have to say, the connection design looks cleaner and a lot better. It’s really easy to set a picture or animated image in a Snowblind case. 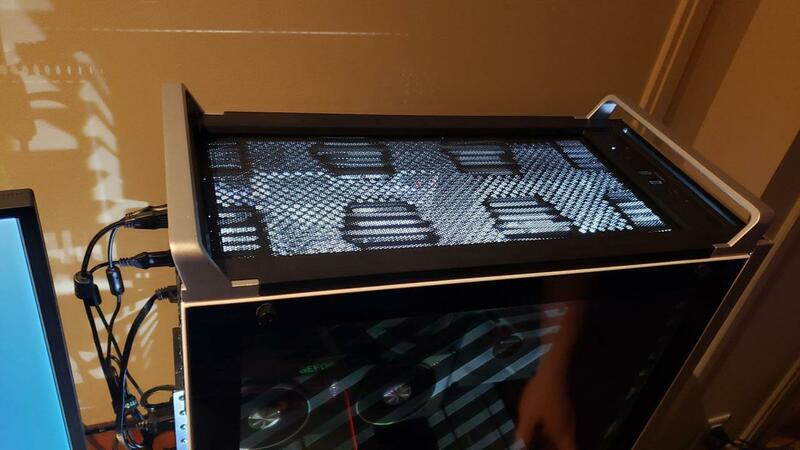 The system just reads it as a secondary monitor so it’ll display anything you drag into there. Or, just use a program to set up an animated background and you’re good to go. 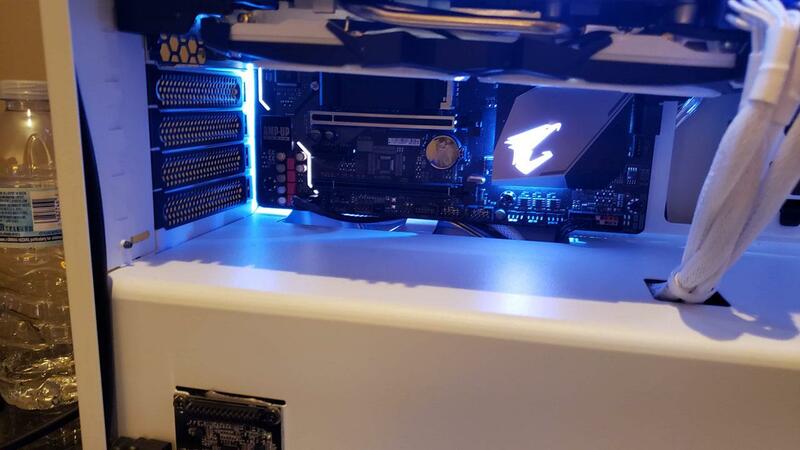 It’s easy to customize the Snowblind panel to your liking. One of the things people might not know is that the internals for Snowblind needs to be of a certain color scheme or the LCD images just doesn’t show up well. 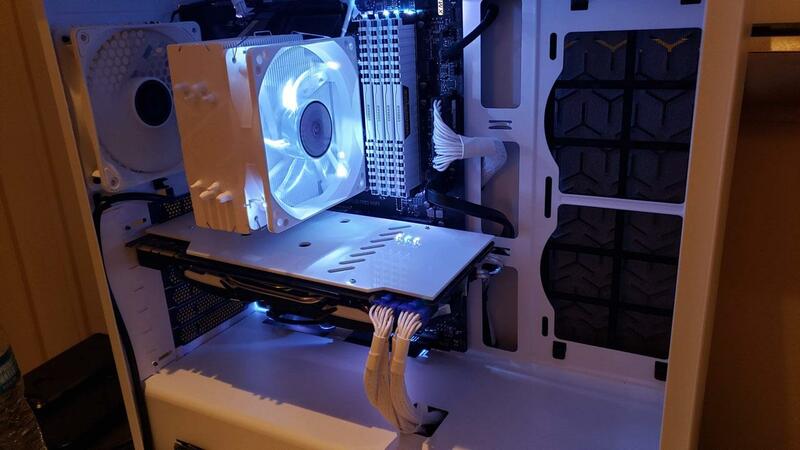 That’s why every Snowblind computer has white or silver parts inside. And for certain parts, it’s really hard to source them in that particular color. 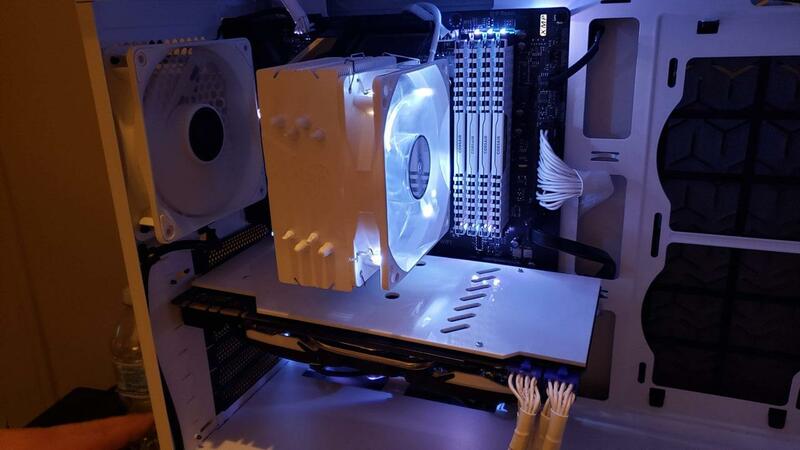 Also forget about any RGB inside the case as that won’t look good at all with the Snowblind panels. 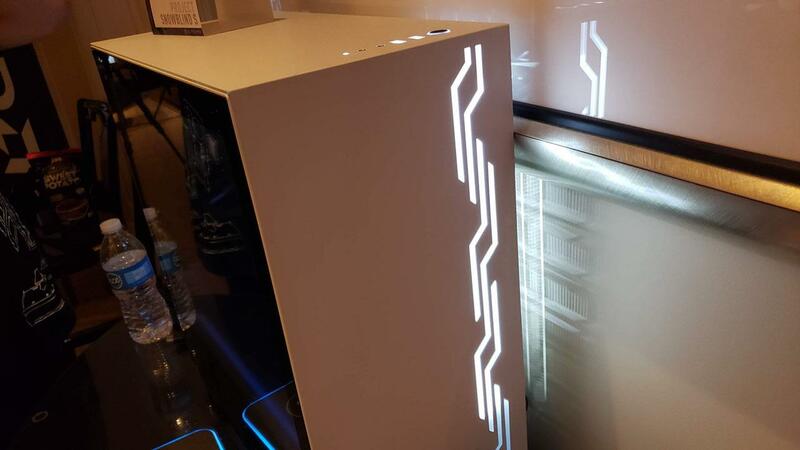 iBUYPOWER still isn’t looking to sell the cases themselves, as the Snowblind design is what sets them apart. 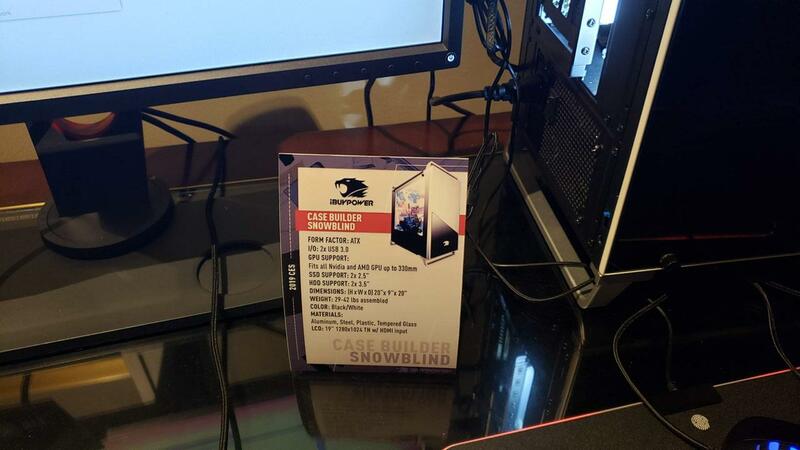 Maybe someday in the future, but for now, you’ll need to purchase a whole system if you want to be able to get a Snowblind case. 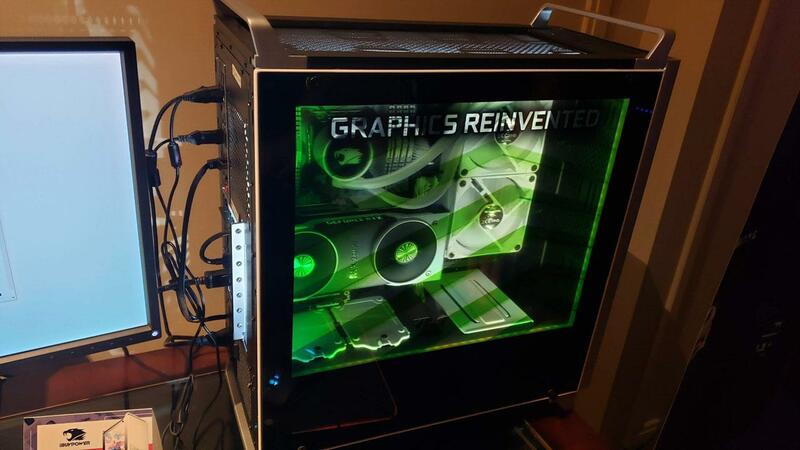 The Revolt 3 is a computer system that’s compact and holds a m-ITX motherboard. In both vertical and horizontal orientation, it’s easily transportable and has see through panels on three sides. 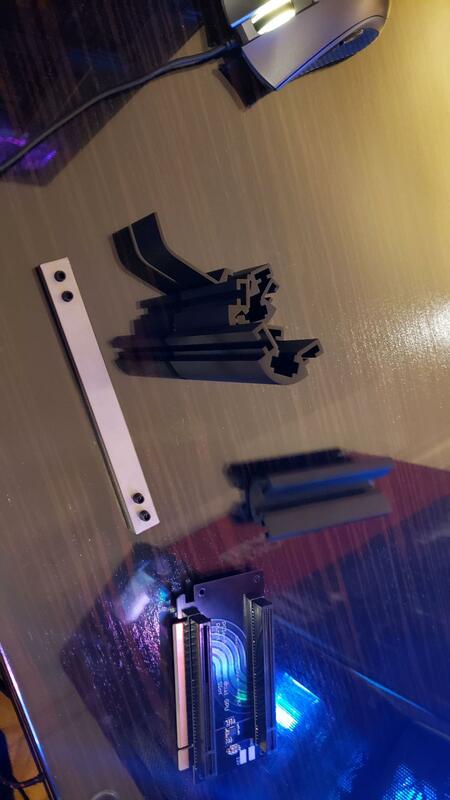 Expandability is done with some rails and riser pieces. If you need to expand the internal room of the case, attach a few of these and you can lengthen the case for say those really long video cards. 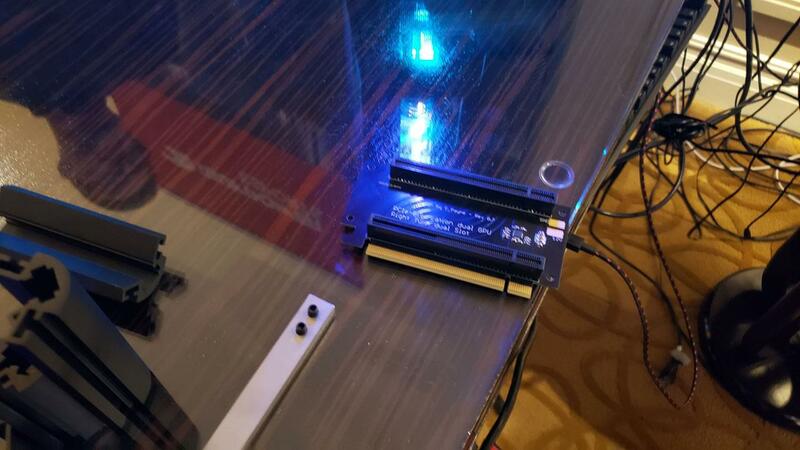 Something cool was that iBUYPOWER has a card that fits into a x16 PCI-E slot that can split to two x8 PCI-E slots allowing SLI setups in one slot. 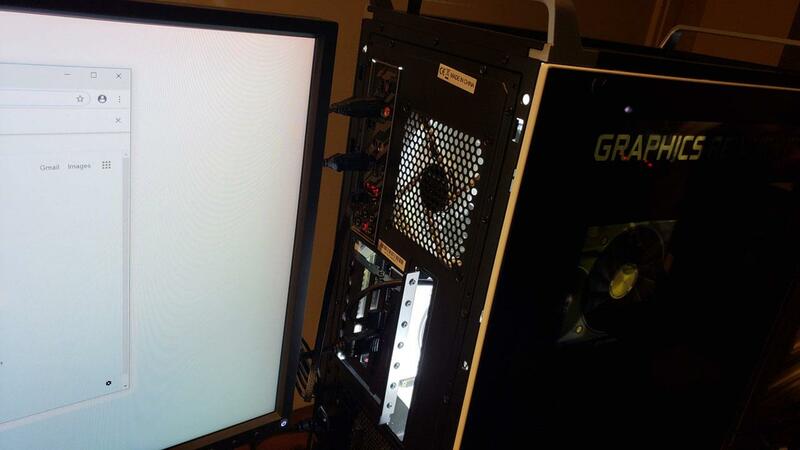 That is, if NVIDIA will certify the motherboard with a single PCI-E slot for SLI. That’s the rub, but if it does happen, you’ll be able to use the splitter card and achieve this in say a Revolt 3. I really liked how compact and clean the Revolt 3 was, even if it was in a prototype form without some of the final parts used in the display. 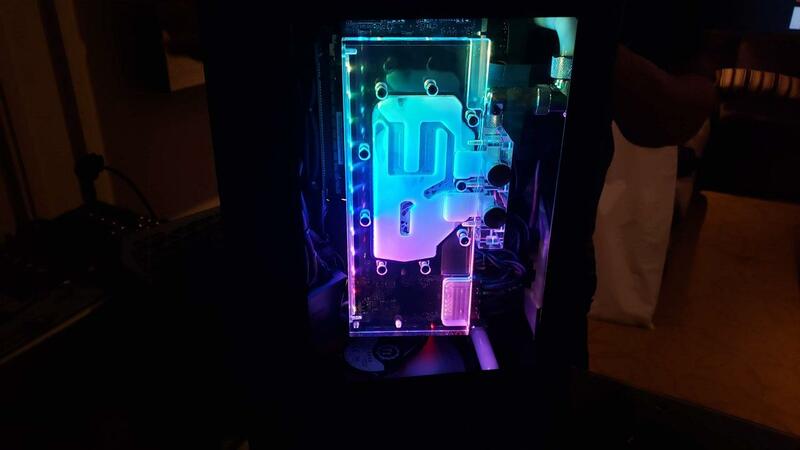 The showing of the water reservoir was really slick and if you’re one who wants RGB in your computer, the Revolt 3 has the panels to show them off. 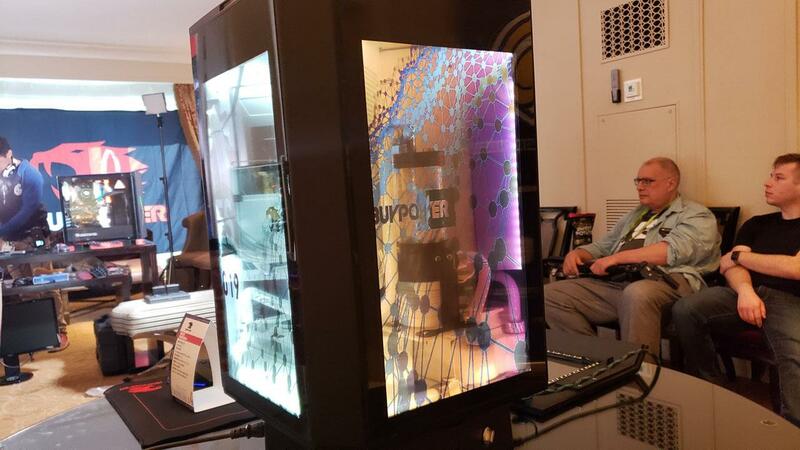 Overall, I really liked all the things iBUYPOWER showed and really love how they’re trying something new with the rotating computer. 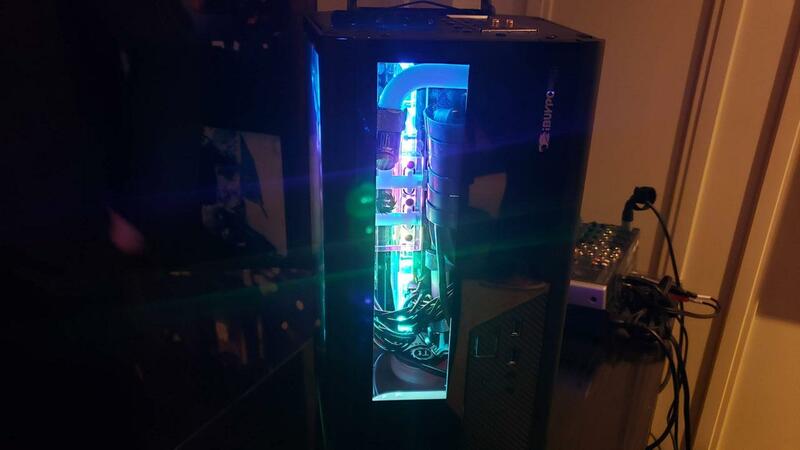 Snowblind is pretty legit up close and something unique that can really set your computer apart from others.